I'm here today with our last post from July guest designer, Jenn Shurkus! It has been such a blast having her for the month! Thank you so much, Jenn! Hey Everyone, It's Jenn - This is my last week guest designing for Neat and Tangled- and I have to say I’m sad :( I loved sharing my ideas with you. Once you have the stamp covered very well with the gelatos, I misted it with just a little bit of water, and then stamped it on Distress Watercolor paper. You could spritz it again and stamp a second time for a lighter version, but I wanted all of my ink splashes to be bold and vibrant. So I covered the stamp in gelato again, spritzed and stamped. I did this 3 times and then using the smaller ink splash I filled in the white spaces a bit. 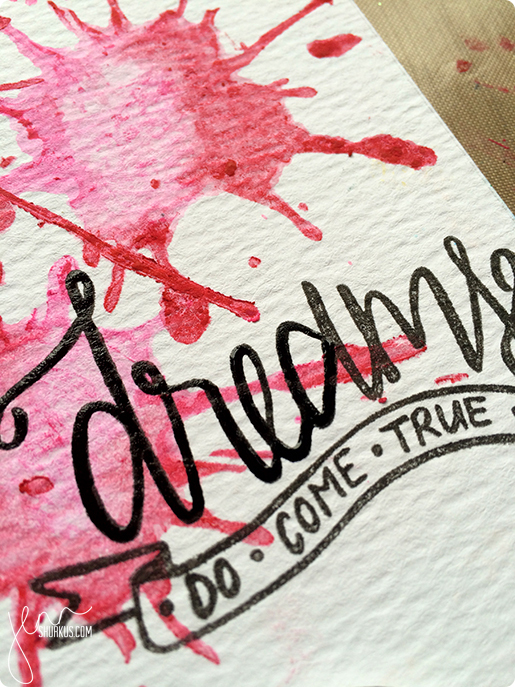 I then stamped the “Dreams” sentiment stamp in versa fine black, once directly on the card, and once on some scrap watercolor paper I had. Using a black glaze pen I gently traced the word “dreams”, let that dry and then went over it again. I like how this really made the word pop off the card. On the second sentiment that I stamped I just colored in the banner “do come true” with bubblegum gelato, fussy cut it out and popped it up off the card. 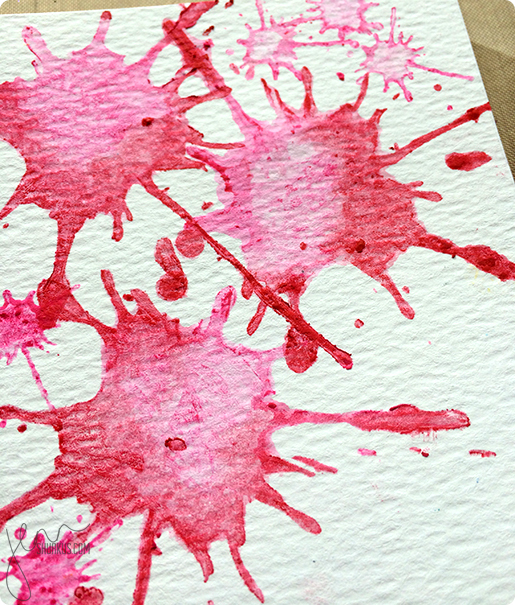 This is such a fun and easy card, and you could recreate it in all different color schemes! Well, that is it. I can’t believe July is almost over! Thank you so much to Danielle for inviting me to guest design for Neat and Tangled, it was truly an honor! Awesome card !! I loved the ink splashes ! Super fun card! 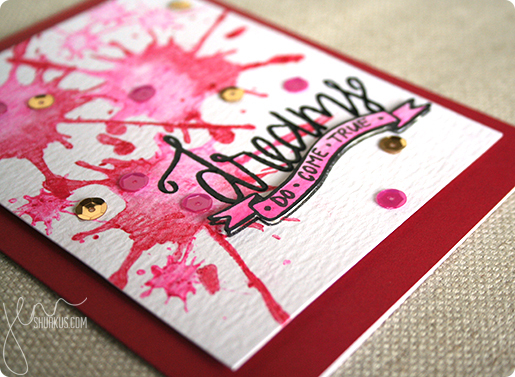 I love the ink splatters and sequins, so pretty! Very COOL card!!! Love it! I really like the splatter stamp. 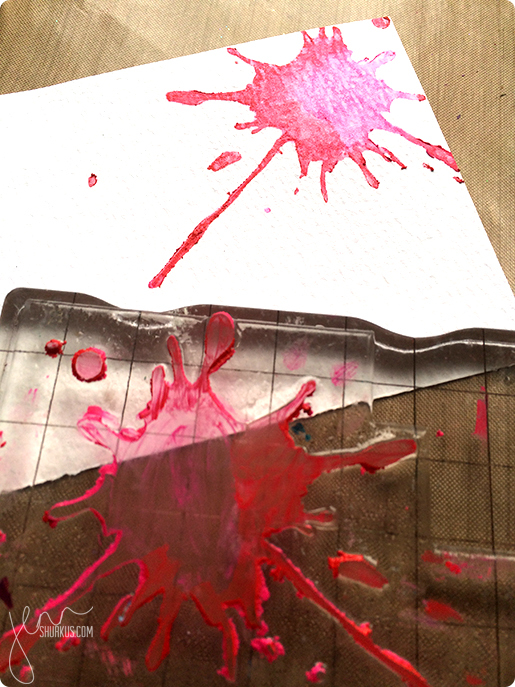 I like how gelatos look for ink...very different from inks. Beautiful job!